The first major piece of architecture seen when coming from Beverly Hills to West Hollywood, the West Hollywood EDITION stands as a gateway to the famed Sunset Boulevard. While the high-rise form of the building and luxury condominium amenities may be new to Los Angeles, the experience of the EDITION—the look, the feel, and the ways people interact in the spaces—will be quintessentially Californian. Bold organic materials, elevated architectural detail, and premium craftsmanship come together to create luxurious homes in the sky that are authentic to Tribeca. 111 Murray is an iconic addition to the world’s most noted skyline which provides residents with truly unique, beautiful homes, and unparalleled amenities that enhance their day-to-day living. A new way of experiencing Times Square for both leisure travelers and businesspeople. Minimalist design and floor-to-ceiling windows create a sense of modern luxury, paired with the technology and amenities that sophisticated business travelers want. Layer in an extensive food and beverage program and outdoor spaces like nowhere else in Times Square, and the EDITION raises the bar for hotel stays in one of New York’s most iconic destinations. Inspired by its lively neighborhood, this development was designed as the premier way to experience the Lower East Side. Communal spaces are the focus, taking on a reimagined role as an extension of the in-room experience. Much more than places to consume, these impeccably designed co-working and co-living spaces provide a backdrop for socializing, work, and life. Revel in—or retreat from—the hustle and bustle of city life at 10 Madison Square West. We converted a historic office building into luxury condominiums, creating a rare but sought-after combination in New York living: adjacency to one of Manhattan’s few green spaces at the heart of a vibrant neighborhood with phenomenal connectivity to the rest of the city. At 150 Charles, forward-thinking design meets classic neighborhood presence. We developed a take on luxury unique to the West Village—one that is all about fitting in, rather than standing out. Low-profile and more intentional, this project was designed to provide residents with the most elevated level of living, playing, and interacting. West Hollywood EDITION will bring an exclusive hotel-condominium to a prime location just minutes from Beverly Hills in Los Angeles. Visionary architecture and design come together with an unprecedented collection of amenities and hospitality-inspired services in the heart of Tribeca at 111 Murray Street. Located in the heart of Times Square on the Duffy Square Bowtie, 20 Times Square takes the iconic pop-culture glamour of this internationally recognized destination to a new level of luxury and excitement. 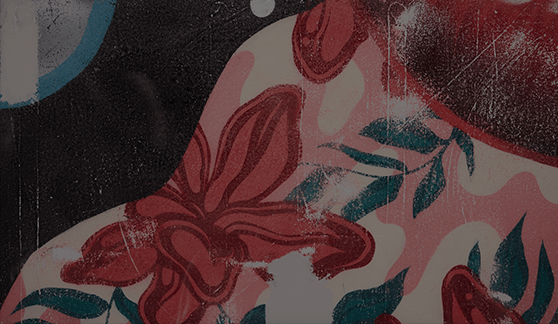 Located in New York City’s rapidly emerging Bowery neighborhood between Nolita and the Lower East Side, PUBLIC Hotel New York & 215 Chrystie Street Residences captures the history, context, culture, and spirit of its location. Located on Madison Square Park in Manhattan’s perennially elegant Flatiron District, 10 Madison Square West involved the conversion of one of the historic International Toy Center buildings into a full-service luxury residential condominium. 150 Charles Street brings elegantly crafted contemporary living to a truly prime location just one block from Hudson River Park in Manhattan’s prestigious West Village neighborhood. Set on Central Park South in Manhattan’s prestigious Plaza District, the Park Lane Hotel offers guests incomparable Central Park views paired with unparalleled access to one of the world’s most influential business districts, ultra-luxury shopping destinations, critically acclaimed restaurants, and internationally renowned cultural institutions. Park Lane’s 46-story limestone façade was designed in a modernist/post-modernist style with sleek black glass windows in 1971 by legendary architecture firm, Emery Roth & Sons. It offers 631 guest rooms, a 24-hour fitness center, and pet-friendly accommodations. The Park Room Restaurant, overlooking Central Park, offers fine dining, and Harry’s New York Bar & Lounge (named for original owner Harry Helmsley) serves wine, cocktails, and light snacks. 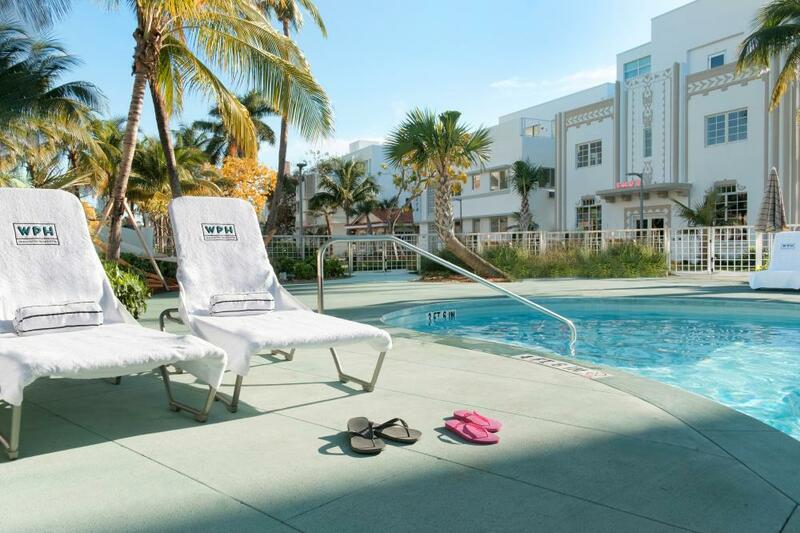 Just two blocks from the Atlantic Ocean beaches in the cultural heart of South Beach, Washington Park Hotel is a 181-room boutique hotel designed within five historic Art Deco buildings. Following an extensive renovation, the hotel re-opened in 2016 with beautifully reimagined and respectfully updated interiors featuring contemporary furnishings and modern conveniences. Guests can choose from traditional rooms, spacious suites, or truly expansive penthouses with floor-to-ceiling windows and private terraces. Amenities include an inviting pool and terrace with lounge chairs and towel service, a fleet of Martone bikes, and environmentally friendly Tuk-Tuk shuttle service to the beach. Guests can also relax and socialize at either of two onsite restaurants: Miami’s first Employees Only-branded speakeasy and Swizzle, a tropical cocktail bar by Danilo “Dacha” Bozovic. The Woolworth Building, designed in the neo-Gothic style by prominent American architect Cass Gilbert in 1913, was designated as a National Historic Landmark in 1966 and a New York City Landmark in 1983. Located in the heart of Manhattan’s Financial District, this internationally recognized 58-story American icon, which was the world’s tallest building until 1930, has been called the “Cathedral of Commerce” in reference to its resemblance to Gothic European cathedrals. Its façade features elaborate glazed terra cotta decorative elements and its ornate vaulted-ceiling lobby is designed with marble, mosaics, stained glass, painted murals, and bronze fittings. Following acquisition in 1998, Witkoff carefully restored the façade and lobby, created a below-grade parking garage, leased the base of the building to office tenants, and worked with New York City’s Landmarks Commission to secure permits for residential development of the upper floors and redesign of the building’s core. Witkoff sold the upper residential floors of the building in 2012 and maintains the lower office levels. Devonshire House is a 186,000 square foot office building in London’s West End, the highest rent submarket in the city. This building, which is “listed” by the government as a property of special architectural or historic interest, was the London residence of the Dukes of Devonshire during the 18th and 19th centuries. Witkoff acquired Devonshire House in 2007 and undertook a comprehensive redevelopment. Upon completion, it attracted high-profile tenants, including Bain Capital, Highbridge, and Boston Consulting Group. In 2013, Witkoff sold Devonshire House at a record price per square foot for an office building in the Western Hemisphere. The Daily News Building, one of Witkoff’s highest profile acquisitions, is a 1.2 million square foot, 476-foot high skyscraper in Midtown Manhattan. Built between 1929 – 1930 and designed by architects Raymond Hood and John Mead Howells in the Art Deco style, it was designated a New York City Landmark in 1981 (interior in 1998) and a National Historic Landmark in 1989. Following acquisition in 1996, Witkoff implemented a complete overhaul of building operations, including a substantial reduction in operating expenses, a rigorous capital improvement plan, and repositioning. Subsequently, the building achieved 100% occupancy, including attracting Omnicom, one of the world’s largest advertising agencies. 1745 Broadway, also known as the Random House Tower and the Park Imperial Apartments, is a 52-story mixed-use commercial office space and luxury residential condominium property located in Midtown Manhattan. Skidmore, Owings & Merrill designed the office portion of the tower, which is on the lower floors, and Ismael Leyva Architects and Adam D. Tihany designed the residential portion, which is on the upper floors. The commercial portion is occupied by Random House. The Hilton Cabana Miami Beach is a 231-room beachfront hotel on Collins Avenue in Miami Beach’s “Millionaire’s Row” neighborhood just minutes from South Beach. Witkoff completed the development of this hotel after purchasing a note and gaining possession of the property through foreclosure in 2011. Development work, which won an award from Hilton for top conversion of the year, included preservation of the historically significant 1950s Miami Modern (MiMo) façade of the main building. Amenities include two outdoor pools, the Cabana Grill restaurant, and a fitness center. In 1999, Witkoff acquired Shell-Mex House, a 550,000 square foot office building located on London’s Strand, a major thoroughfare in the City of Westminster, Central London. Originally constructed in 1931in the Art Deco style, this building is “listed” by the government as a property of special architectural or historic interest. Following acquisition, Witkoff undertook a comprehensive redevelopment and fully leased the building. The Capitol at Chelsea is a 39-story mixed-use property in Manhattan’s Chelsea neighborhood that Witkoff developed from the ground up. The land was acquired in 1999 and construction was completed in 2002. Upon completion, it featured 387 rental apartments and 83,000 square feet of retail and office space. Following stabilization, the property was sold to the JP Morgan Asset Management Core Fund. Located on Biscayne Boulevard in Downtown Miami, New World Tower is a 30-story, 285,000 square foot office tower offering high-performance systems, unobstructed views across Biscayne Bay and the Atlantic Ocean, and 396 onsite covered parking spaces. Previously the headquarters of BellSouth, it has been comprehensively renovated and now features a contemporary granite and marble lobby with multiple flat-screen televisions, high-speed elevators, and 24/7 onsite security staffing. In addition to a state-of-the-art telecommunications system and an in-house data center/ colocation facility, tenants benefit from a backup generator system and layered security. In 2000, Witkoff acquired the largest single portfolio of cast-iron buildings in downtown Manhattan’s SoHo neighborhood. The seller had assembled this portfolio of 10 mixed-use residential and commercial properties over approximately 50 years in connection with their family business. All but one of the buildings (676 Broadway) are within the SoHo-Cast Iron Historic District, which is designated by the New York City Landmarks Preservation Commission, listed on the National Register of Historic Places, and has been declared a National Historic Landmark. Following acquisition, Witkoff legalized and renovated the buildings and leased up all residential, commercial, and retail spaces. 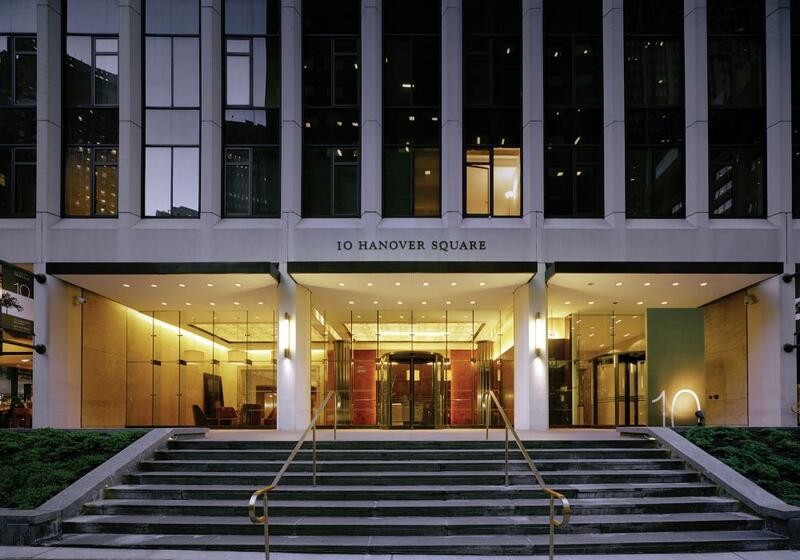 Witkoff acquired 10 Hanover Square, located in Manhattan’s Financial District, in 1995. At the time, it was a 522,000 square foot office building. Following acquisition, Witkoff completed a gut renovation as part of an agreement to secure Goldman Sachs as a long-term tenant. When Goldman Sachs later vacated the building to move to their new corporate headquarters, Witkoff redeveloped the building into a 493-unit Class A rental building with ground floor retail and sold it to UDR, one of the largest national multi-family REITs. The International Mercantile Marine Company Building, also known as One Broadway, is a 185,000 square foot office building overlooking Battery Park and the New York Harbor in Manhattan’s Financial District. The building was originally constructed in 1882 and previous uses of the site included serving as headquarters for George Washington during the American Revolution. It was added to the National Register of Historic Places in 1991. Witkoff acquired One Broadway in 1996 through a purchase option made available by an existing tenant. 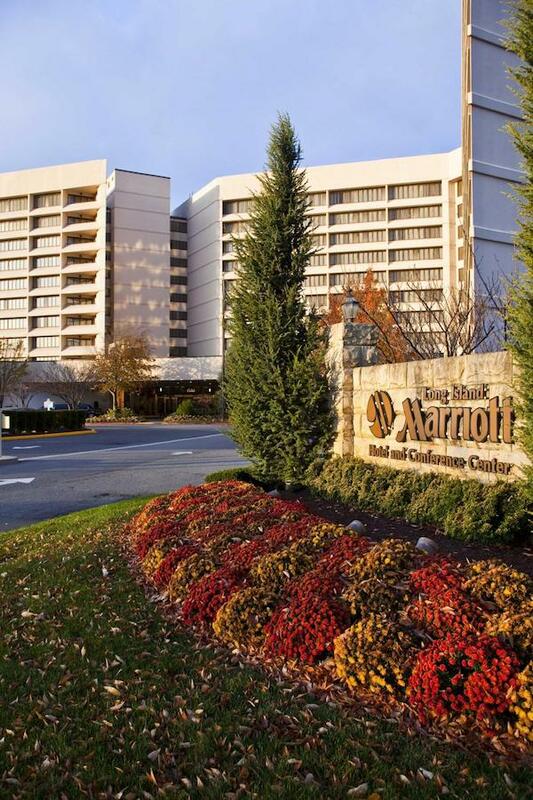 Located in Uniondale in Nassau County, the Long Island Marriott is a 615-room, 11-story hotel offering a fitness center, an indoor pool, a business center, and 43,000 square feet of event space ideal for conferences, corporate meetings, and weddings. Guests also enjoy two onsite restaurants and several lounges and bars. The hotel is conveniently located adjacent to the Nassau Veterans Memorial Coliseum, a sporting event and conference complex that is undergoing a $260 million renovation. Other nearby lifestyle destinations include retail shopping, state parks, Nassau Community College, and Hofstra University. Witkoff acquired the Long Island Marriott in 2014 through a distressed note purchase, recapitalized the property, and is repositioning it, including a long-term real estate tax benefit. As part of the repositioning, the lobby and other public spaces, porte-cochere entryway and landscaping, HVAC systems, and windows are currently under comprehensive renovation. Excess land is being evaluated for possible future development. 420 Fifth Avenue is a 28-story Class A office tower that occupies the entire block between 37th and 38th Streets in Midtown Manhattan. This prime location in the heart of the largest central business district in the world is exceptionally accessible to and from the entire metropolitan region via mass transportation at Grand Central Station, the Port Authority Bus Terminal, and Penn Station. Witkoff acquired four contiguous floors of 420 Fifth Avenue comprising a total of 119,000 square feet in 2006. This space is fully leased to three high-profile corporate tenants: Major League Soccer, Totes Isotoner Corporation, and Fox-Pitt Kelton. 515 East 72nd Street is a 41-story, 326-unit luxury residential condominium building on Manhattan’s Upper East Side. Witkoff purchased distressed debt secured by the unsold condominiums in this residential rental building, which was undergoing conversion, and worked with the borrower to complete the redevelopment and sell the remaining units, including the design and build-out of a 5,400 square foot penthouse, which was sold upon completion. This property features a 20,000 square foot private park, a fitness center, a gym, spa facilities, an indoor pool, a basketball/squash court, and a café. Located in Manhattan’s Financial District, 55 Wall Street is a nine-story Greek Revival style building that was originally constructed from 1836 to 1842 to house the Merchants’ Exchange. It was designated a New York City Landmark in 1965 and was named a National Historic Landmark in 1978. Witkoff acquired 55 Wall Street in 2005 and redeveloped it into a Cipriani-branded condominium with 101 luxury residences, one of the largest event spaces in New York City, a private club, and a restaurant. Witkoff’s redevelopment achieved the highest relative value per square foot in the Financial District. Located in Midtown East on Third Avenue between 52nd and 53rd Streets, 866 Third Avenue is a 31-story mixed-use building acquired by Witkoff in 1997. Following acquisition, Witkoff optimized the building’s value by creating three condominiums. Ground floor retail, which is retained by Witkoff, is fully leased. Floors 2 – 11 were sold to Memorial Sloane Kettering in 1997. Floors 12 – 31 were sold to Marriott International in 2004 and operate as a Courtyard Marriott Hotel. 90 Long Acre is a 194,000 square foot office building located in London’s Covent Garden district. After acquiring this property in 2006 and redeveloping it, Witkoff successfully navigated a market down cycle before fully leasing vacant space. High-profile tenants have included Eurohypo AG, Virgin, and Regus. Located just one block from Central Park on Manhattan’s Upper West Side, Columbus House is a 33-story residential rental building offering exceptional views of Central Park and the Hudson River from the upper floors, many offering terraces overlooking the park. In addition to the retail options located on the ground floor of the building and the myriad restaurants and shops that the prime Upper West Side neighborhood offers, residents enjoy excellent access to all areas of the city via five subway lines within two blocks of the property. 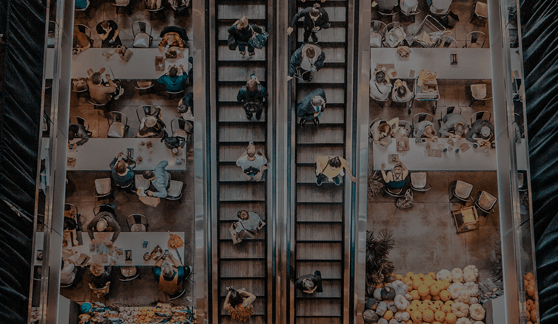 In 2017, Witkoff successfully took the project through a ULURP (Uniform Land Use Review Process) and received approvals to expand the retail footprint at the property. 485 Lexington Avenue is a 756,000 square foot, 32-story office tower located in Midtown Manhattan in close proximity to Grand Central Terminal. In 2004, Witkoff acquired this property in partnership with SL Green Realty Corporation. Together, the two firms undertook a major capital investment and remarketing program, which resulted in significant value appreciation. In 2006, Witkoff acquired a 108,000 square foot office building in Manhattan’s Chelsea neighborhood from an estate managed by an institutional bank. Following acquisition, the firm began an active management plan, including buying out below-market tenants; making capital improvements to the lobby, windows, HVAC, and elevator systems; and re-marketing all spaces at market rate. Witkoff sold 31 West 27th Street in 2009. 25 West 43rd Street is a 297,350 square foot office building running through block from 43rd to 44th Streets between Fifth and Sixth Avenues in Midtown Manhattan. In 1998, Witkoff acquired this property in a structured transaction negotiated with the leaseholder and the fee owner. Following acquisition, Witkoff implemented a targeted capital improvement program and a comprehensive leasing program. 125 Broad Street is a 40-story Class A office tower located in Manhattan’s Financial District. In 1998, Witkoff purchased two condominium units totaling 525,000 square feet and fully leased all vacant space. 100 Wall Street is a 29-story, 509,000 square foot Class A office tower located in Manhattan’s Financial District. Originally designed by legendary architecture firm Emery Roth & Sons in 1969, it was acquired by Witkoff in 1997 and resold at a substantial profit within nine months. 80–90 Maiden Lane is a 535,000 square foot office building in Manhattan’s Financial District. Witkoff acquired this property in 1998 and sold it in 2000. Witkoff acquired a land ownership interest in 234 West 48th Street, a property ideally located in the heart of Manhattan’s Theater District near the city’s top tourist attractions, including Times Square, Rockefeller Center, the Museum of Modern Art, and Central Park, among many others. The property is home to The Gallivant Times Square, a high-end 336-room boutique hotel offering on-site concierge, fitness center, boardroom-style meeting space, and business center. 33 Maiden Lane is a 27-story, 600,000 square foot office tower located in Manhattan’s Financial District. Witkoff acquired this property in 1996 through the purchase of a defaulted note from a Japanese institutional lender and a subsequent friendly foreclosure action. Following acquisition, Witkoff leased a substantial portion of the tower to the Federal Reserve Bank of New York. In 2000, Witkoff acquired a commercial office building at 84 William Street in the Financial District and converted it into a 121-unit apartment building utilizing incentives for redevelopment of downtown Manhattan, including New York City’s 421-g Tax Incentive program. 130 Fifth Avenue is a 141,000 square foot Class A office building in Manhattan’s Flatiron District that Witkoff acquired in 1999. The Piano Factory is a residential condominium located on the East River waterfront in Astoria, Queens. The six-story Romanesque Revival style brick building, originally constructed in 1886 for the Sohmer & Co. piano company, was designated a New York City Landmark in 2007 and listed on the National Register of Historic Places in 2014. In 2010, Witkoff purchased a defaulted loan on this property from an institutional lender, restructured the loan with the borrower, received historic tax credits for the redevelopment, and oversaw completion of the project. Upon completion, the property consisted of approximately 80 residences, ground floor retail, and parking. The Piano Factory produced record-setting rents for apartment units in Astoria at the time. In 1996, Witkoff acquired a multi-tenanted 247,000 square foot Art Deco style office building in a structured, tax-efficient manner via a leasehold/fee structure. Located at 41st Street and Lexington Avenue in Midtown Manhattan, it provides excellent access to Grand Central Terminal. 301 West 53rd Street is a 25-story, 264-unit luxury apartment building in Midtown Manhattan. In 1999, Witkoff acquired this property along with a partner from the original developer. Following acquisition, Witkoff implemented an active management plan addressing both leasing and operational objectives. Witkoff sold this property in 2005. 20 Exchange Place is a 57-story Art Deco building located in Manhattan’s Financial District. Originally designed in 1929 by the Cross & Cross architectural firm, it was designated as a New York City Landmark in 1996 and has been featured in several major Hollywood movies. Witkoff acquired this property in 1997 and implemented an active management program, including significant capital improvements and successful marketing of the vacant space. The Federal Deposit Insurance Corporation was a major lessee. 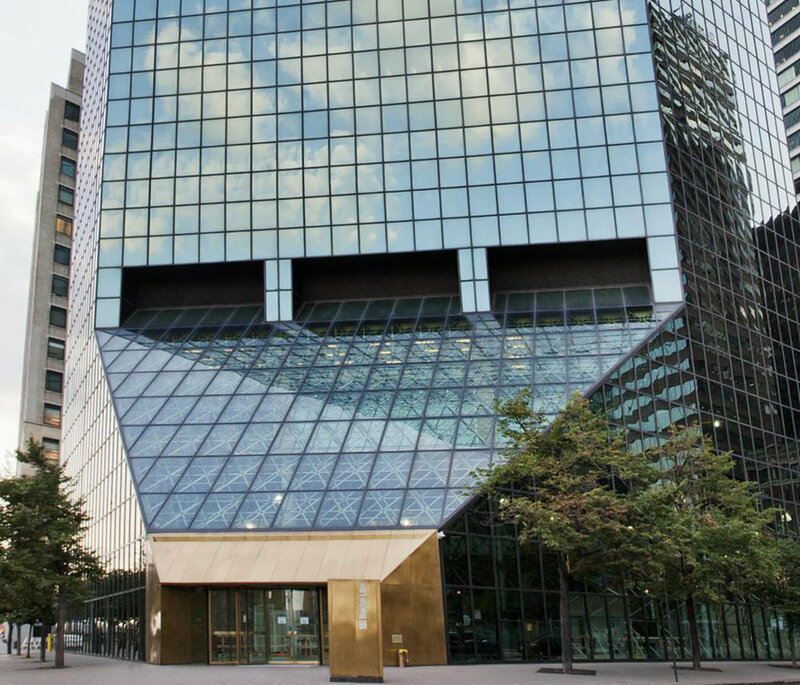 Witkoff sold 20 Exchange Place in 2004 to a residential developer. 590 Fifth Avenue is a commercial office and retail property in Manhattan’s prestigious Plaza District. Witkoff acquired this property in 1998 through the purchase of a note from a Japanese institutional lender and completed the lease-up. 180 Maiden Lane is a 1.2 million square foot vertical corporate campus located in Manhattan’s Financial District, steps from the East River Waterfront Esplanade and the South Street Seaport. In 2004, Witkoff made a loan on this property and acted as special servicer for the lending group. The property was sold in 2008. 240,000 square foot office building located in Paramus, New Jersey.